Place flour, sugar, butter, milk, and vanilla in a mixing bowl. Mix on low setting and add egg one at a time. 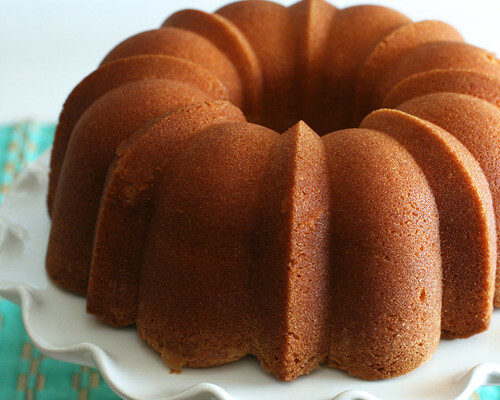 Once mixture is complete, pour into a greased bundt pan. Cook for ninety minutes or until done.